This week, I thought it might be a good time to give a state that does’t get much attention the spotlight. Let’s see what Rhode Island has to offer road trippers who are looking for an interesting adventure. Rhode Island was founded by Roger Williams, which is something that probably not many of us were aware of. What is interesting about this is that his decaying body was consumed by a “carnivorous” apple tree. 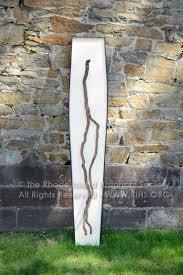 The story is that the root made its way into the coffin and wrapped itself through and around his body. Even more interesting is that now the roots that ate Roger Williams are on display for all to see in Providence. You can also visit Cumberland, the only place on earth to find Cumberlandite…a metallic substance, found only on a small swath of land measuring about 4 acres. 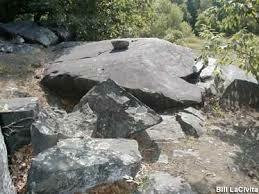 In a nearby cemetery, tombstones are made of Cumberlandite. Newport is home to Collinswood Mansion, of 1970’s era soap opera fame, so stop by and take a look. Finally (Rhode Island is a pretty small state), there is something for the spiritual thrill seekers…Woonsocket is home to the only stigmatic in the United States. 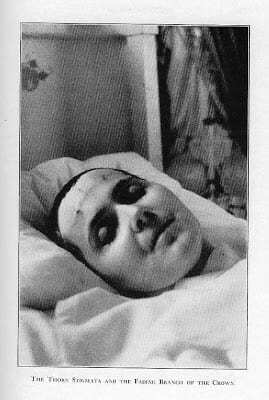 Stigmatics are people who exhibit the visible wounds of Christ. She is buried in Woonsocket. 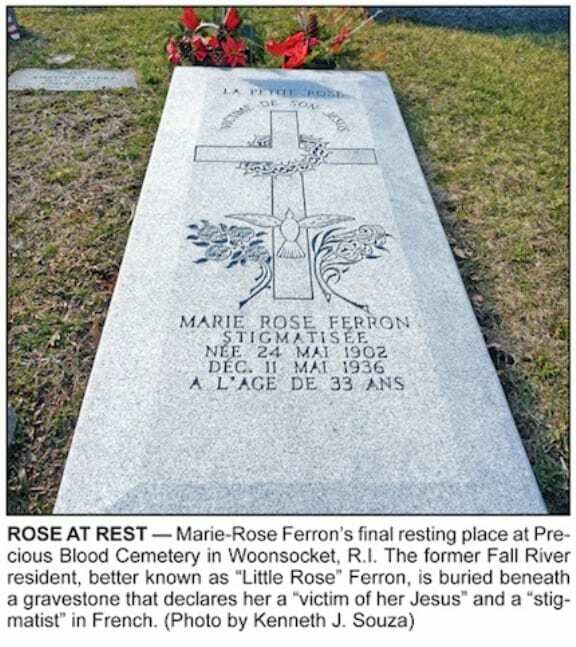 Rose Ferron exhibited them, including those inflicted by the crown of thorns, for the last ten years of her life.